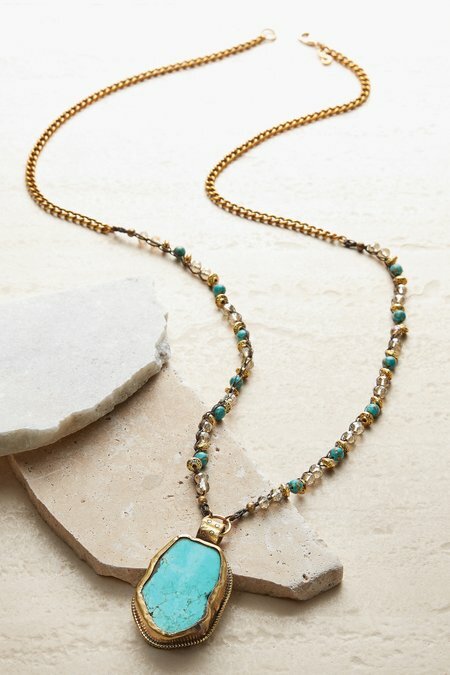 Featuring a turquoise pendant handcrafted by artisans in Tibet, this feel-good necklace is more than jewelry, it's a conversation piece. Intricate crochet work unites an amazing array of topaz crystals with an updated take on a brass chain. Not only striking, it's a great way to connect with a culture in a land far away.